FireChef - Digital Wander, Inc.
FireChef is a simple recipe shopping list app, that scales the ingredients you need for your meals by the number of eaters you specify. A backup and recipe sharing feature allows users to use both features without any identifying info or logging in to create an account. 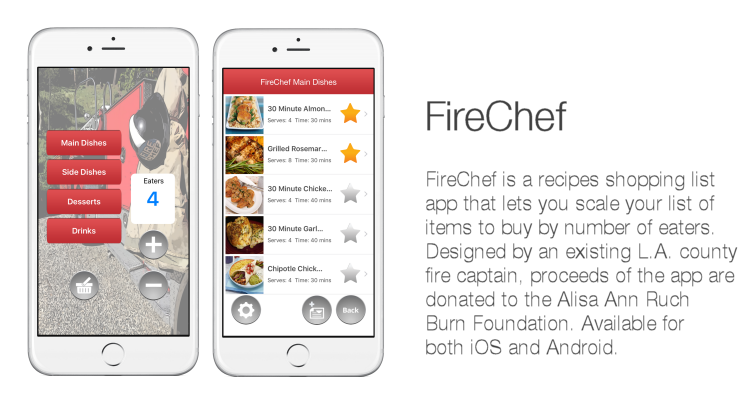 A portion of the proceeds from the app are donated to the Alisa Ann Ruch Burn Foundation. This entry was posted in Android, Android tablet, iPhone/iPad by digitalwander. Bookmark the permalink.